Keith Williams attended the gala performance as part of the Marlowe Theatre’s fifth anniversary celebrations in Canterbury on Saturday night (8 October). The decision to rebuild the city’s Marlowe Theatre by Canterbury City Council in the throes of a global recession has been vindicated by its success. 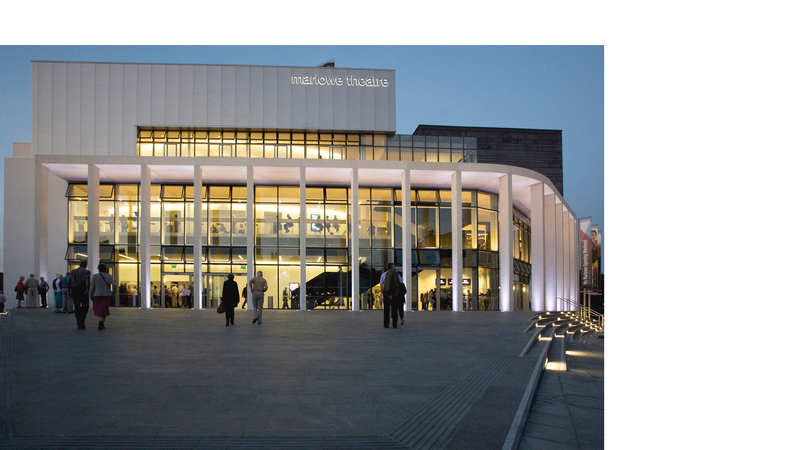 The rebuild happened through 2009 to 2011, in the middle of the UK recession prompted by the global credit crunch, but the multi-award winning Marlowe Theatre, designed by Keith Williams Architects has been a phenomenal success since its opening in October 2011. In less than 5 years under its director Mark Everett 1.81 million tickets have been sold for its shows, firmly establishing the Marlowe as the most important theatrical venue in the south-east. The sold out 1200 seat main auditorium on 8 October played host to wide variety of acts with performances from the poet Lemn Sissay, Glyndebourne Opera, the Royal Shakespeare Company, extracts from the National Theatre’s world famous War Horse, the musical Chicago along with many other shows. The smaller Marlowe Studio has also gone from strength to strength, and now has a highly-regarded programme of contemporary theatre, comedy and music, while also hosting community projects. The Marlowe has also become the epicentre of a mini-economy, employing 200 to 250 people a year in the vicinity and has helped spark regeneration of what was a rather neglected sector of the city.